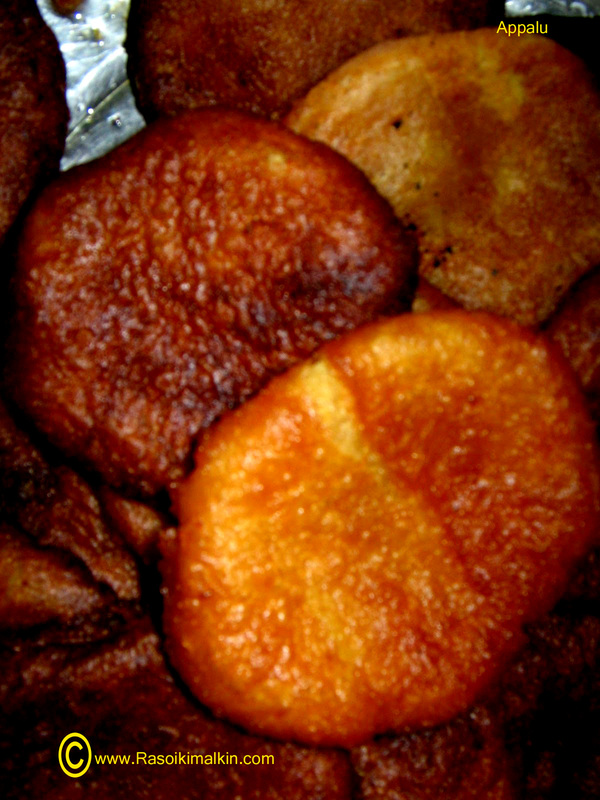 Appalu is a sweet item generally prepared for prasadam at the time of pujas. Jaggery has to be grated and measured. Rice and maida are to be well mixed and kept aside. Place a kadai on the stove in low flame,add 1/2 cup of water and jaggery . let it cook.Slowly it settles.Switch off the stove. and place a kadai with oil for deep frying. Like wise adjust the temp of the stove according to the heat required. Serve in a serving bowl.